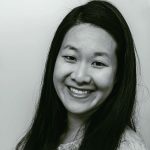 Published Jul 31, 2018 By Julia 41 CommentsThis post may contain affiliate links. 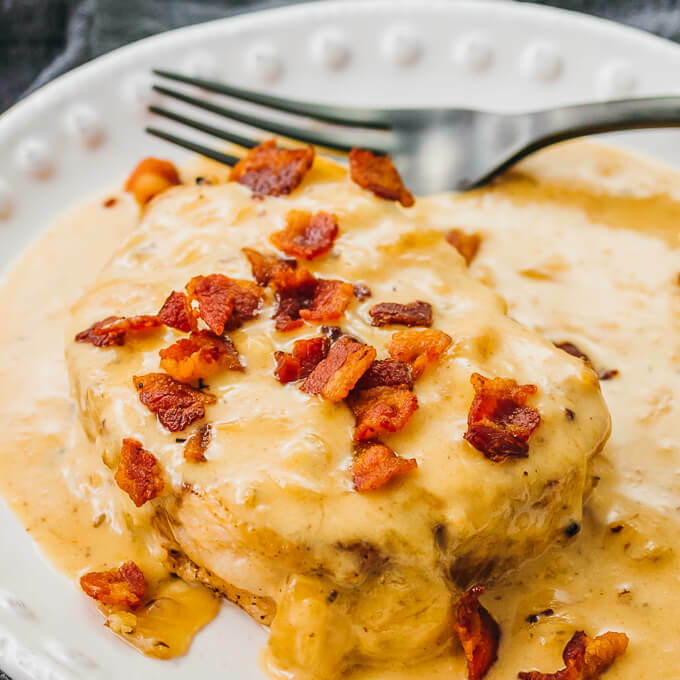 Boneless pork chops cooked in the Instant Pot, smothered with a creamy gravy and topped with crispy bacon. 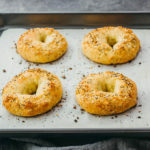 Keto, low carb, and gluten free. 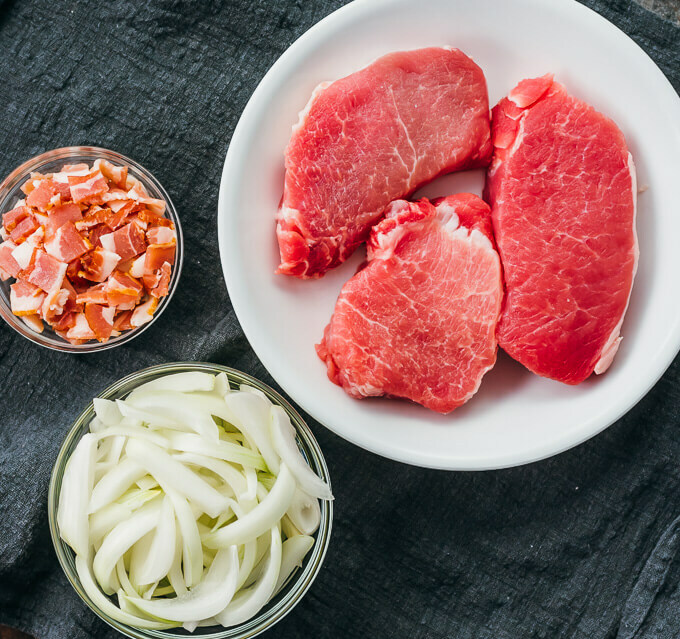 Pork chops are a lean cut of meat, available as both boneless and bone-in. This recipe uses a boneless center cut, about six to eight ounces per individual chop. 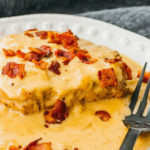 Bacon plays multiple roles in this dish, providing grease for frying the pork chops as well as forming the base for a flavorful creamy sauce. 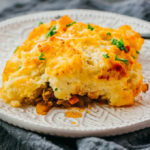 The crispy bacon bits add extra richness and crunch that well complements the creaminess of the dish. 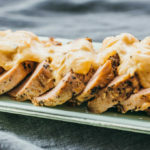 Similar to my pork tenderloin dishes — both roasted and pressure cooked — these pork chops are paired with a Dijon mustard gravy that’s very low carb and fantastic for anyone on a keto diet, coming out to only 3g net carbs per serving. The boneless pork chops should be as evenly sized as possible. Pay attention to their thickness when selecting them at the grocery store; ideally, the individual chops should be less than 1 inch thick. If you have thinner or thicker pieces, they will not cook at the same rate and you may need to pressure cook for shorter or longer periods of time to compensate. The bacon should be diced. Line up the bacon slices on top of each other so you can cut through multiple slices simultaneously. Another way to dice them is to use kitchen shears and snip through them, which you might find easier than using a knife and cutting board. 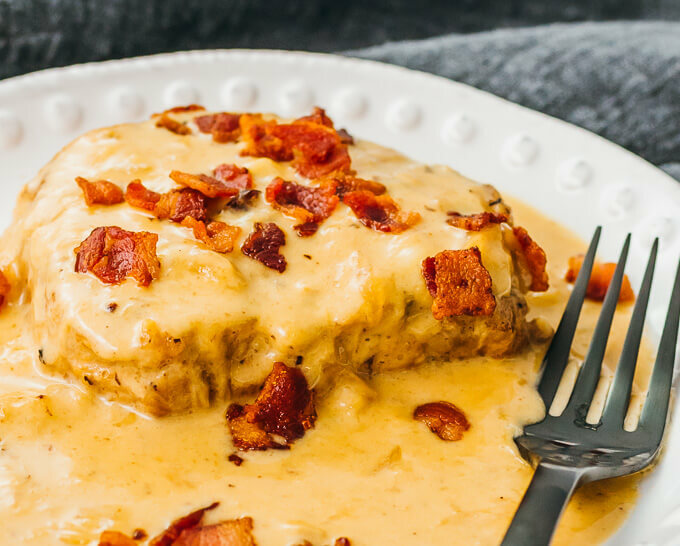 I developed this recipe using boneless pork chops and uncured bacon from my local Trader Joe’s store. 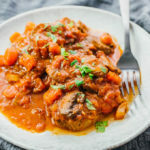 I use a 6 quart Instant Pot, but it should also work with other sizes since the pork chops don’t take up a lot of space in the pressure cooker. I recommend using a full natural release, which took 18 minutes for my pressure cooker. You’ll know when it’s done because the pin will drop when the pressure has completely released. Avoid a quick pressure release because the pork chops may come out tough. During natural release, the pork chops are still cooking, and you’ll be skipping that part if you do a quick release. If you’re wondering what to serve with pork chops, I suggest a side dish of mashed cauliflower, steamed broccoli, or brussels sprouts. Leftovers? These pork chops reheat well in the microwave and maintain their tenderness. They should be reheated with the creamy sauce, but not with the bacon. Store the bacon separately to keep it crispy. Pat the pork chops dry with paper towels. Trim off any excess fat. Generously season all sides with salt and pepper. Select the sauté mode on the pressure cooker for medium heat. Add diced bacon, spreading them out in the pot. Stir frequently as it cooks. As they turn crispy, use a slotted spoon to transfer them to a paper towel lined plate to drain, leaving the bacon grease in the pot. Add pork chops to the pot in a single layer and fry in bacon grease, a few minutes per side. Transfer them to a plate. Add water, stirring and briefly scraping up flavorful brown bits stuck to the bottom of the pot. Return the pork to the pot, arranging them side-by-side on top of the onions. Secure and seal the lid. Cook at high pressure for 30 minutes, followed by a full natural pressure release (about 15-20 minutes). Uncover and transfer only the pork chops onto serving plates. Turn on the saute mode. Add heavy cream and dijon mustard to the pot, stirring together. Bring to a boil. Let the liquid boil for 5 to 10 minutes to thicken, stirring occasionally. Turn off the saute mode and stir for a minute to let the boiling subside. Stir in parmesan cheese until melted. Spoon the sauce on top of the pork chops. Top with crispy bacon and serve while hot. 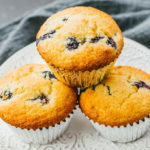 This recipe yields 3 g net carbs per serving (1/3 of the recipe). Sauce is to die for! Chops still came out dry. Used <1" and didn't change anything. 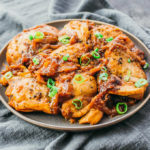 Would cooking less time help? Suggestions please? 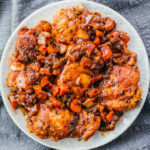 Julia Hi I would love to cook all of you recipes but I do not have and Instant Pot, what do you suggest, I just started losing weight using your recipes I don’t want to stop now what can I do for the recipes that call for the instant pot? I want to make for dinner tonight.. can I do more than 3 chops? Feeding 6 people! You can proportionally increase the ingredients as needed, and the pressure cooking time should remain the same. Some things need to be adjusted, like searing the pork chops in batches since they won’t all fit simultaneously. Thanks Julia! Yes that is helpful. I’m going to try this sometime later this week and will let you know how it turns out.